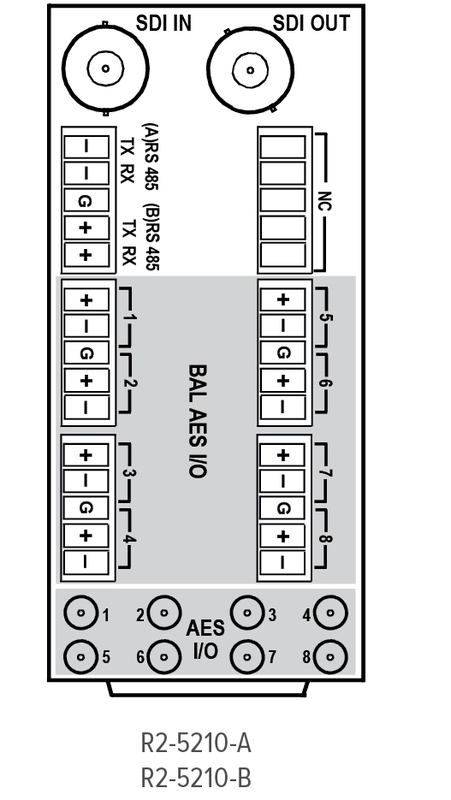 The OG–5210-EMB 3G/HD/SD-SDI 16-Channel AES/8-Channel Analog Audio Embedder/De-Embedder offers full-flexibility AES and analog audio embedding/de-embedding in a basic, economical, high-efficiency openGear® card. The OG–5210-EMB provides full 16-channel embed/de-embed between AES, 8-channel analog audio, and all four groups of embedded audio. Audio embeds adaptive SRC allows asynchronous 48 kHz AES audio to automatically sync with program video 48 kHz timing for glitch-free embedding. Individual, per-pair SRC auto-detects and disables SRC when a Dolby pair is detected on an input pair. Analog embed/de-embed conforms with professional balanced audio at 0 dBFS to pro 24 dBu levels using full 24-bit conversion. 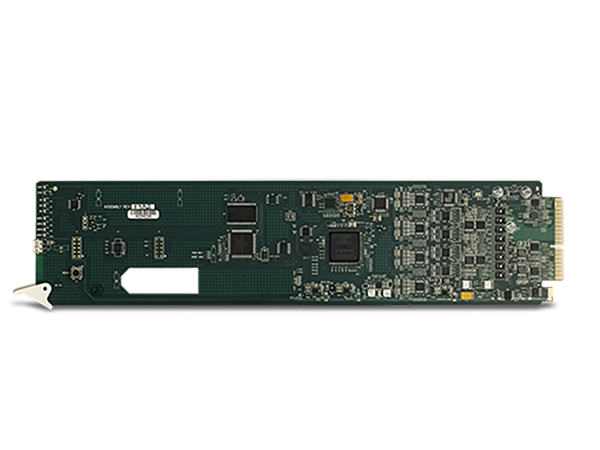 16-channel AES support and 8-channel analog audio support in one card. Individual per-pair embedding or de-embedding. Provides four-group SDI embed/de-embed and cross-conversion between analog and AES discrete audio. DashBoard™ status display, audio meters, tone generators. GUI audio meters provide a ready assessment of content presence and line-up. Audio embeds adaptive SRC allows asynchronous 48 kHz AES audio to automatically sync with video 48 kHz timing for glitch-free embedding. Individual, per-pair SRC auto-detects and disables SRC when a Dolby pair is detected on an input pair.